Police in Gbarnga, Bong County on Monday morning teargas protesting Drivers who staged a go-slow action in an effort to clam the government’s attention concerning vehicle registration fees. Members of the Bong County Drivers Union at about 7:00 am yesterday set roadblocks at the Iron Gate car wash and another one at the NTA parking in Gbarnga. The Drivers action to stage the protest is at the result of the government’s alleged refusal to adhere to the concerns of the drivers by drastically reducing vehicle registration fees which they said is posing a serious threat to their activities. Following the situation, our Bong County Correspondent went on the scene but observed that the Police action also affected a nine-year-old girl who was on her way from school. According to our reporter, the teargas affected the eyes of the little child which was swollen as the result, She was later rushed to the CB Dunbar Hospital. 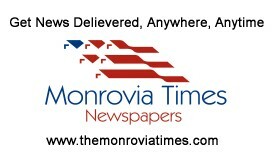 Speaking in an interview with The Monrovia Times Police Regional Commander Morris Teamah said the Drivers did not stage go-slow action as earlier stated maintaining that setting roadblocks is not peaceful protest. For their part, some of the Drivers expressed serious frustration over the action of the Police on grounds that they did not expect them to have carried on such action. The Drivers said their reason for setting roadblocks was specifically intended to stop commercial vehicles from caring passengers and not private or government vehicles. Some of the Drivers were arrested in the process and placed behind bars. Meanwhile, this paper has gathered that some of the aggrieved drivers vandalize some material at the facility of the Liberia Drug Enforcement Agency local office in Bong County on grounds that officer of the LDEA was among Police during the brutalities. According to the LDEA Commander Alex Toweh one of the alleged demonstrators was arrested and he is currently behind bars at LDEA office awaiting an investigation in the county. Commander Toweh said chairs and some of his officers’ uniform were tenor or destroy in the process. He wonders why legal minded people like drivers will decide to take the law into their own hands in the country by setting roadblocks, especially on an international route like the Monrovia Guinea border, which is being used by some international guest in the country. It can be recorded that aggrieves drivers said their go slow action was intended to call on the attention of the National Government to ensure a reduction in the high increase in vehicle registration and licenses in the country. The Drivers alleged that they are demanded to register their vehicle with one hundred and ninety United State dollars ($190US), compulsory Insurance three hundred and thirty United State Dollars ($3,30US) and they are buying a license for forty-five United State Dollars ($45 US) to be use two years. Setting Road Blocks on major highways and preventing the free movement of people is not a, “go-slow action to claim government attention”. The Liberian Government has the responsibility to protect the rights of all, and not just a few. The National Police was right to use whatever means in order to restored the freedom of movement of everyone.